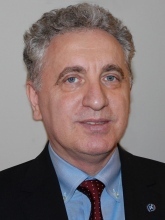 Lazar Rusu was appointed professor at DSV on December 1, 2013. His research area is IT management with a special focus on business-IT alignment. He has an extensive experience both from industry and academia, and wants to bring the two worlds closer together. Lazar Rusu is born in Romania. His academic background includes a Degree in Electrical Engineering, a Degree in Management, and a Ph.D. in Management with a focus on Management of Information Systems. He came to Sweden in 2002 with a postdoctoral scholarship from Swedish Institute to work at TSLab, KTH ICT with Professor Björn Pehrson. “This was a very interesting challenge to study the impact of the wireless technologies on business. This has offered me a chance to develop my knowledge in ICT research area,” Lazar Rusu underlines. He also got the chance to work in different industry sponsored projects at TSLab, and in 2004 he was offered a research position at KTH ICT. The following years he worked as researcher for KTH ICT and in 2006 he joined DSV as a senior lecturer. In 2007 he started his research group in IT management at DSV. “I have noticed that research in IT management is considered to be important at DSV, so I was very happy to get this opportunity to explore some research topics in IT management that are major concerns for IT leaders around the world. In this area our research has focused on IT Governance, Business-IT Alignment and IT outsourcing,” he explains. The group grew the following years through involvement in different research projects in developing countries and financed by SIDA. In the last years the research group has received funds from Swedish Research School of Management and IT (MIT) that is supported by the Swedish Government. A key issue for Lazar Rusu is to work both with research and education. This is how he got his PhD students; some of them have been taken his courses in IT management and have done their master theses under his supervision. Now, he is supervising four PhD students in his IT management group. Industry contacts are essential for Lazar Rusu. He works actively with industry in direct cooperation through industry master projects, and research that involves an industrial PhD student. But he wants to develop this further. “I want to be visible in industry, and wish to involve them more. We must cooperate and help organisations to find out how our research can be applied and generate business value for their organizations. We need to involve them in our research by solving their concrete problems so that we know where to focus our research” Lazar tells. Lazar Rusu hopes to get more master student projects from industry and more industrial PhD students. He wishes to develop a network with former students and try to involve them in research projects. “I would like to see the development of an executive education in IT Management at DSV that can be extremely usefully for IT leaders and their companies. I also wish to involve more the IT leaders in our courses, e.g. in lectures and seminars,” he stresses. Lazar Rusu says that he wants to develop the group’s research and teaching to meet the needs of IT professionals. He also wishes his group to be a bridge between industry and DSV. “We need to involve more IT professionals with industry experience in our research and education”, he says. Lazar Rusu is very happy with the research work done in the IT management group. They are doing research of high quality, and get to publish our results in high-ranking conferences and journals. The group he is leading and especially the research in Business-IT alignment and IT governance research has been very well received by the academic community in Sweden and abroad. He would like to grow the group with a few more senior researchers and more PhD students. He also wants to develop the education in IT management and do more networking. On the wish list is to involve students more in industry projects as well as networking with former students. “I would like to develop the research done by my group so we become more visible. We have done very good research - but we could be better in presenting our research. The key is cooperation with industry - so we can learn from each other,” Lazar Rusu concludes. Business-IT alignment is still a top management concern and there are many challenges that remain to be researched. One challenge on which our research has focused is the impact of organisational culture on Business-IT alignment maturity. Research in this area has focused on the development of a framework for implementing effective IT governance in public sector organizations from a developing country. The research has focused on the development of a method and a maturity model for analysing IT strategy management from a service perspective in small/medium sized public sector IT organizations. Our research has looked to the development of a method that can be used for assessing the risk exposure in support of IT outsourcing decisions and also on the development of a risk based framework of influential factors in IT outsourcing relationships.